Please share all bugs encountered in update 0.8.0 below, using the template below. Note that if you do not send all the needed details concerning your bug, we will not be able to work on resolving it! Please attach a replay if relevant! Great, thought I'd try ranked battles picked a ship pressed start battle and bang, on my desktop. 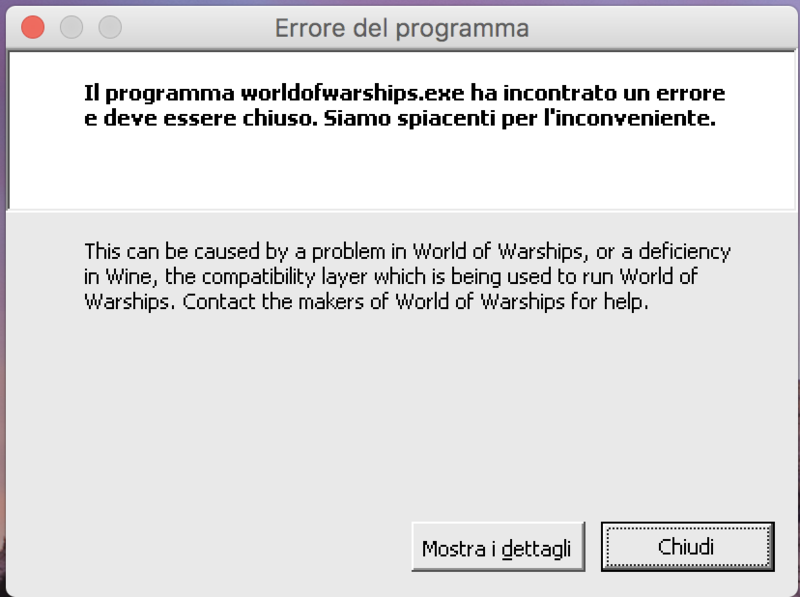 Now I cannot get back in and if I get penalized for your piss poor coding I will uninstall all War gaming products. i am fed up with this crap every sodding patch. Then when i do fuinally get in game the match has finished and ive got 3 penaltiy points through no fault of my own. FFS WG this is not the way to please and influence your player base. Why is there only 2 torpedoes from 5 torpedo planes? deleted my report, as you were. Description: Getting other ship firing sounds as they were my own. How got this: Played first game in ryojo, second in anshan. That Ryojo game ended at same moment as my current squadron got shot down and didn't have time to return to carrier pick new one. So something in soundscape most likely got bugged out. Result: In anshan game, i got our own teams batteship sounds, meaning apart from anshans own gun sounds while firing, i would hear booming blasts when ever that battleship fired, like i would be one firing, as in no matter if i was on other side of map sound was blasted clear as day. Was pretty distracting, specially when there was already both enemy carriers trying to rocket me. To hear sounds like they were in last version aka loud gun booms only by my own fire or if other ship is really close to me. Almost cannot hear my own guns sounds, but gun sounds from other ships are loud. 1. Ship not moving in any direction despite GUI reporting speed change, rudder shift, etc. Ship will occasionally "lag" into moving in some form. 2. Unable to see ships that should be spotted, so can't shoot at enemy ships and unable to see incoming shells (only effect i.e. fire damage, etc). 3. Other ships on the team also visually appearing not to move, turn, etc. Problems start the moment you enter the battle with no particular trigger. This has happened in the first two battles I've tried since the recent patch. I've re-installed the game, checked and repaired the integrity - no change. FPS seems unusually high (90-100) where it usually hovers around 80-85. Ping also seems unusually low (9-15ms) when it's usually 30-35ms. Could this be a network related issue? Pretty much as described above and the game at this moment in time is unplayable for me. That the game plays like it did before the recent patch. The cruiser Irian can`t join a battle with it. Every second battle is constantly loading and i can`t join it. With other ships i can join the battle. just had a container bug. got a twitch container opened it. 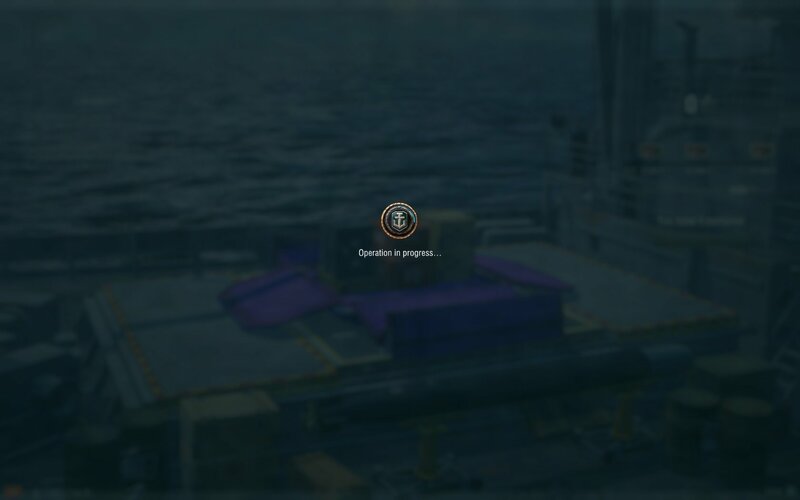 then it told me I still had a container despite it saying I only had 1 container to start with so clicked open and now my game is stuck saying "Operation in progress..."
The Port still keeps resetting to the Twitch port after game client restart, no matter which port you selected before the last shutdown of the game client. I think this must have been the third or fourth time I alone bring this up, don't know about others. Port UI is laggier than ever, which is almost more annoying than the carrier plague. 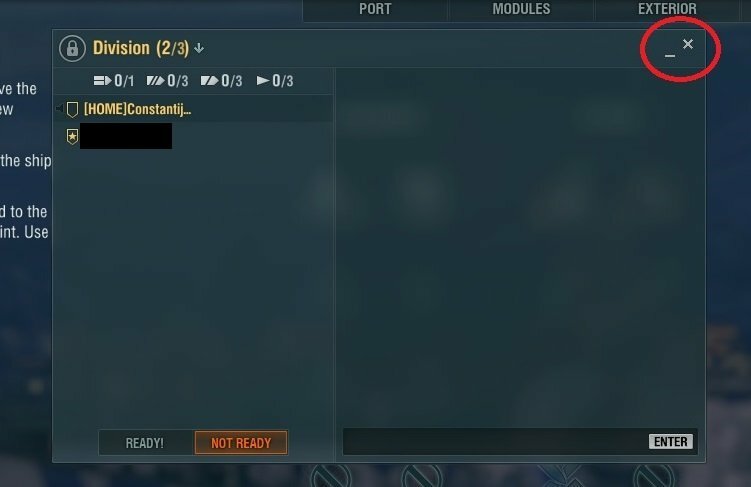 At least you can get around the carriers in Ranked... no getting around the Port screen. Oh and that Operations bug, where you can't call fire on the bot enemy ships and it always says "hit the onshore installation" instead on hitting F3, even when there is no onshore installation, and which I've been sporadically reporting a half dozen times - that has also not been fixed again. Got the same result, but previous games were bb>cv>cruiser>bb>dd and it happened in the last one. 1. WGC is updated, game will not go past the "Logging in..." phase. 2. I have 2 instances, both updated to EU server/cleint standards. Non worked. Also, I have performed Verify Integrity on both. 5. After update of 0.8.0 via WGC. 1. Sound bug: at the beginning of a game, my client randomly(?) chooses an enemy ship, whose gun shots I will then hear as mine (in addition to mine) for the rest of the game, or until said enemy ship dies. Game Client closes when I exit the results screen. No mods installed at the time. GPU and CPU temperatures stable, no overclocks. Purchase discount from Clan base not applied to CVs ? I have only the Hosho available but there's not discount tag on it, also the discount is not class based but tier based. Grave key ( ` ) isn't recognised by game for control bindings. This appears on the UK keyboard layout, corresponding to the position of the tilde key ( ~ ) on the US keyboard layout, to the left of the 1 key. AA sector selection is bound to ` by default ( ~ on US keyboards) but cannot be used. Pressing the key produces no response from the game neither in the settings menu nor in battle. Use UK keyboard. Try to bind ` to any control or try to use the AA sector selection in battle. No control functions can be bound to the grave key. One of the default keybinds for AA sector selection cannot be used. Grave key to function the same as tilde. Train in the premium dock is has some weird behavior. The back wheel on the train is clipping through the ground. To obey the laws of physics. Today i tested the new CVs. I started two Ranger battles. During flight the Planes fly unintentionally circles. I.E. a Torpedo run on a lone BB, just before drop, the planes decide to fly a circle. No Controls were hit. Aim is lost. Run is gone. It happens during flight, in two battles. No reproduction known. Saipan and Langley games in the same computer session were ok.
Added: In a new game i read the messags like "to much traffic on the server". In a game i joined, i experienced a lot of lag. Possible reasons to much server load. The same Problem can occur in the Ranger games, setting the Planes for some seconds on idle mode. just came home, started the update. Ready to start the game, click on Play, the game exit and gives me the screen attached.